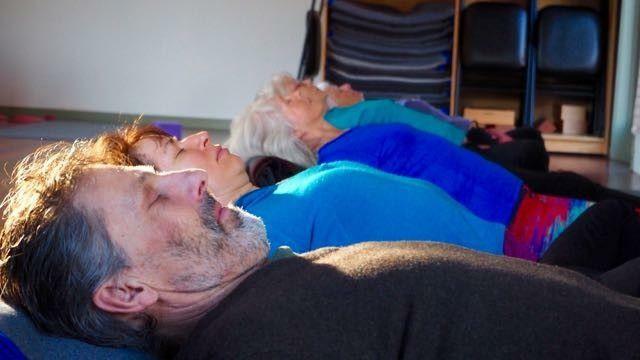 An eight-week evaluation of 20 people’s sleep habits showed that yoga can improve aspects of sleep. It’s good news for people who suffer chronic insomnia. Clinical psychologist and sleep specialist Michael Breus reported on the research by Harvard Medical School that investigated how daily yoga affects the quality and quantity of sleep. The preliminary study results showed improvements in sleep efficiency, total sleep time, total wake time, the amount of time it takes to get to sleep and the wake time after sleep onset. Insomnia is not only a symptom of other illnesses (cancer, chronic pain, arthritis, fibromyalgia, depression) it can be a related cause.